Don't be fooled into thinking this is an easy hike because it begins at a high elevation. This is a challenging hike with multiple ascents and descents that offers hikers incredible views. 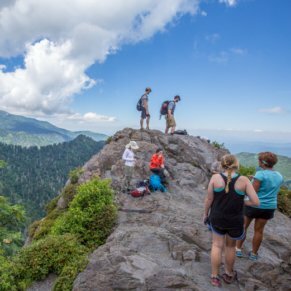 As you hike the 15.6 miles roundtrip along the ridge line between Mount LeConte and the Smoky Mountains, your total elevation gain will be approximately 3,000 feet. 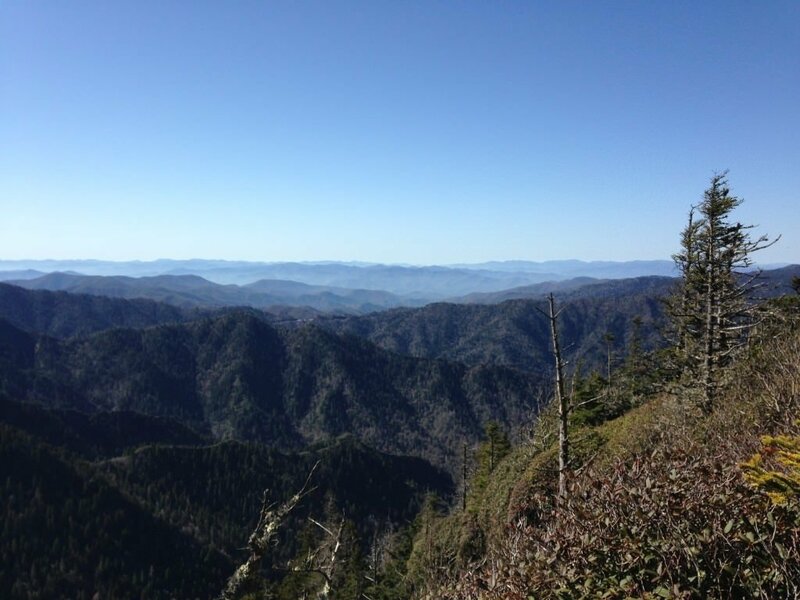 The Boulevard Trail offers hikers a challenging route to Mount LeConte with spectacular views from multiple locations, including the summit and LeConte Lodge. Mt. 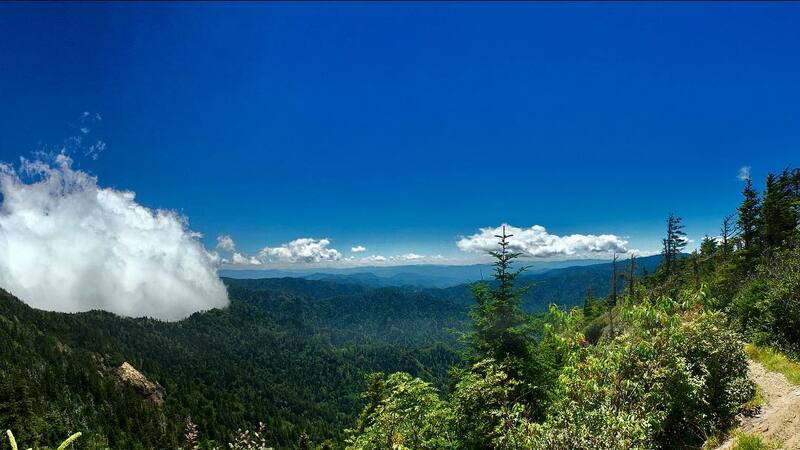 LeConte rises more than a vertical mile high over Gatlinburg, making it the third highest mountain in the Smoky Mountain National Park at 6,593-feet. 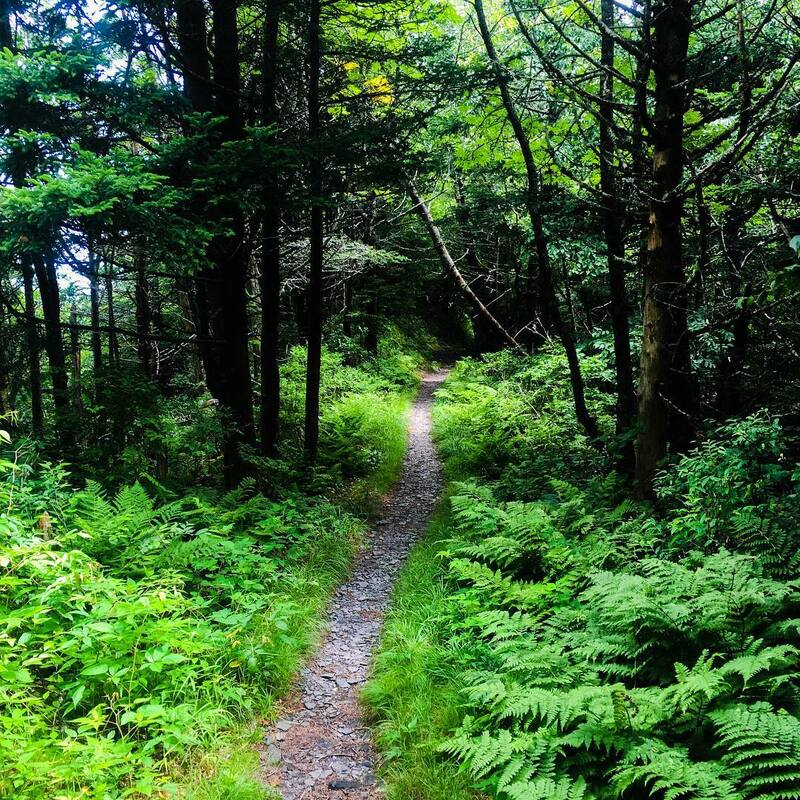 To reach the Boulevard Trail trailhead from the Newfound Gap parking lot, follow the Appalachian Trail east for 2.7 miles, a steady climb with log steps along the first few hundred feet. 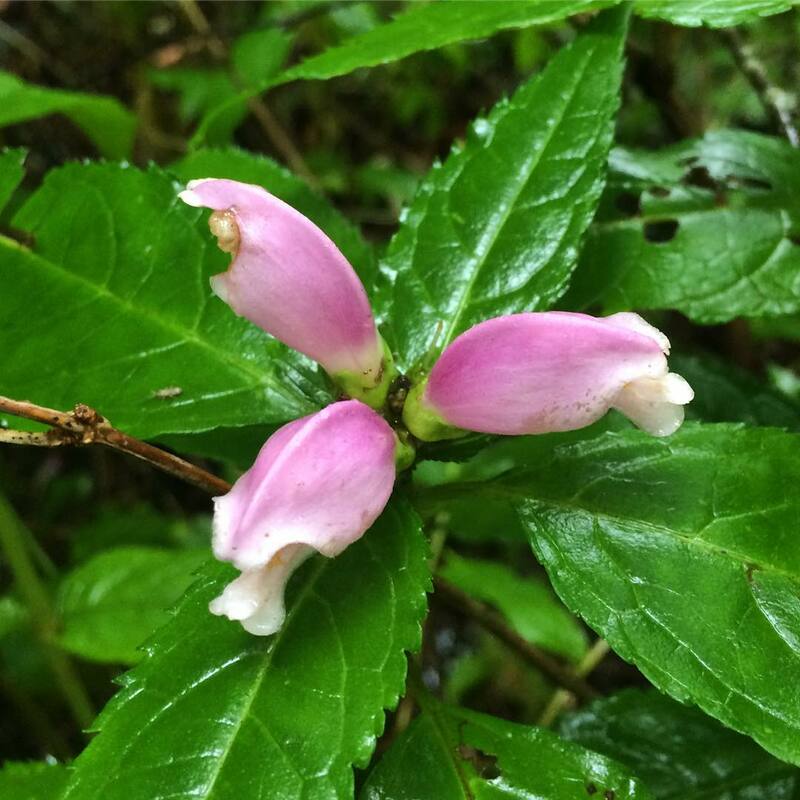 In the spring and early summer, you’ll see many wildflowers along this part of the trail. 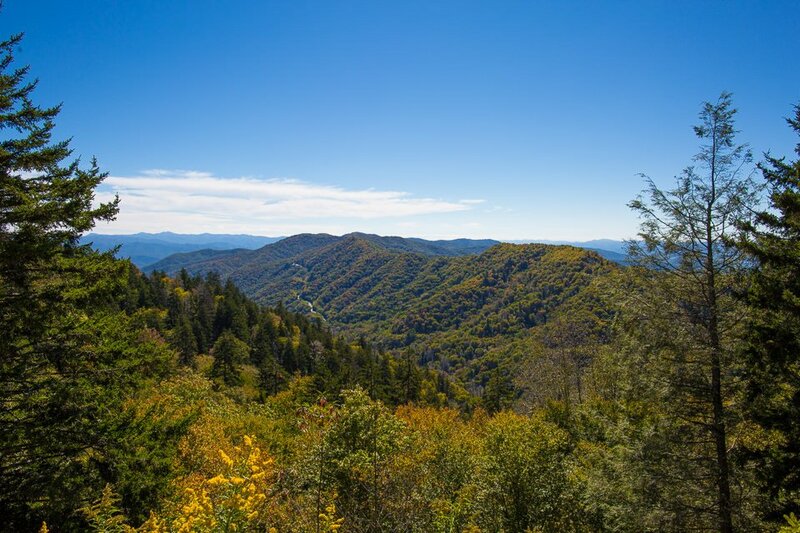 About two-thirds of the way up, stop and take a moment to enjoy the view of the North Carolina Smoky Mountains to the south. When you hit the 2.7 mile mark, there’s a slightly rocky area and junction. Bear left to follow the Boulevard Trail. Continuing straight takes you to Charlies Bunyon, a rock outcropping originally known as Fodderstack. If you decide to veer off to Charlies Bunyon, expect steep drop-offs but fantastic views of Mount Guyot to the east and the Jump Off as well as Mount Kephart to the west. Less than one-tenth of a mile after turning left on to The Boulevard Trail, hikers reach the junction for the Jump Off.This is NOT an official park trail, but it is fairly well maintained and is marked with a sign. We recommend saving your energy for the ascent and doing this add-on hike on your descent. To catch the amazing views from its vantage point, you’ll add another round trip mile to your hike; however, the route is fairly easy with just a few rugged spots. 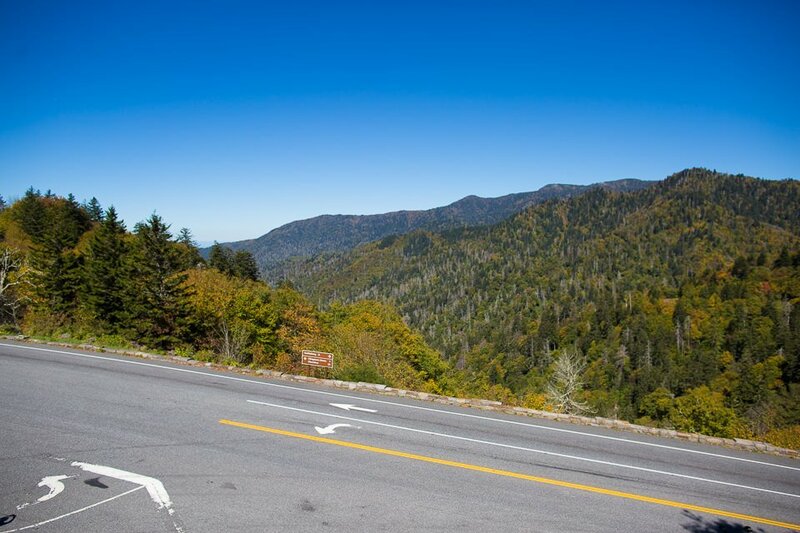 The Jump Off is a good place for a picnic and to snap pictures of the majestic Smoky Mountains scenery. The Boulevard Trail mostly follows the ridge-line of the mountain, allowing hikers to enjoy some stunning lookout areas where the mountain falls away on both sides. 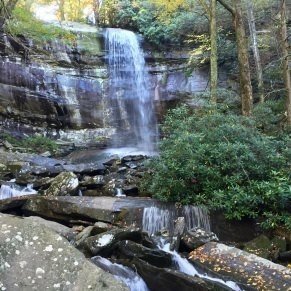 The trail does feature elevation changes; you’ll hike approximately 4.7 miles uphill and about 3.4 miles downhill. The average elevation gain per mile is 385 feet. Hikers circle along the western side of Mt. Kephart before reaching the southeastern side of Mt. LeConte. Along the way, you’ll see both balsam firs as well as red spruce. Two-tenths of a mile from the Mt. 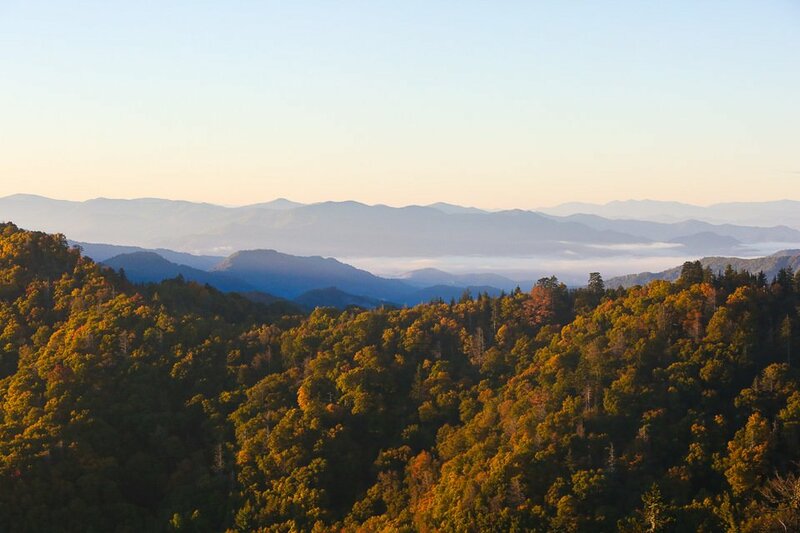 LeConte summit is the trail leading to Myrtle Point, a preferred location for anyone wishing to view the mountain’s gorgeous sunrises. Myrtle Point, which is only 0.2 miles off The Boulevard Trail, offers panoramic 360-degree views of the surrounding mountains and National Park. The summit of Mt. LeConte is High Top (two-tenths of a mile from the Myrtle Point junction). You’ll know you’ve reached it when you see the large grouping of rocks located to the left of the main trail. The Boulevard Trail is the only trail of the five Mt. 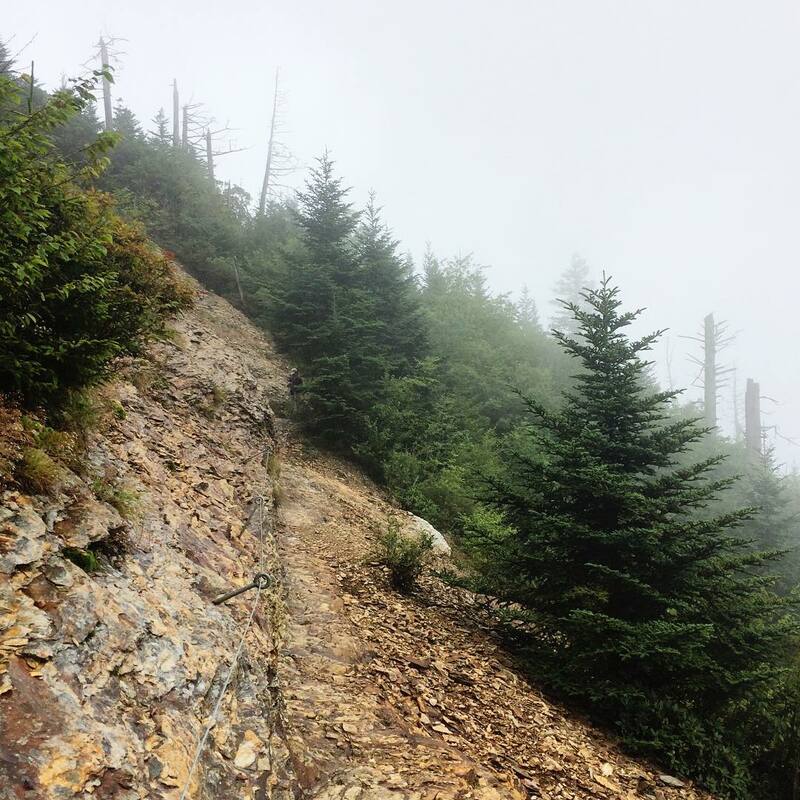 LeConte trails that passes over the true mountain summit. LeConte Lodge is just beyond the summit. While you will have bragging rights of having hiked all the way to the top, the views from the summit are minimal. 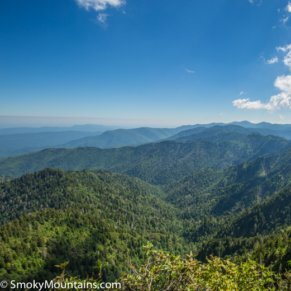 If you’re hiking the Boulevard Trail as a route to the LeConte Lodge, the trail length measures eight miles and takes approximately 5.5 to 6 hours for a moderate to experienced hiker. Trekking the full loop, plan to log almost 16 miles with a total elevation gain of 3,000-feet. Mt. 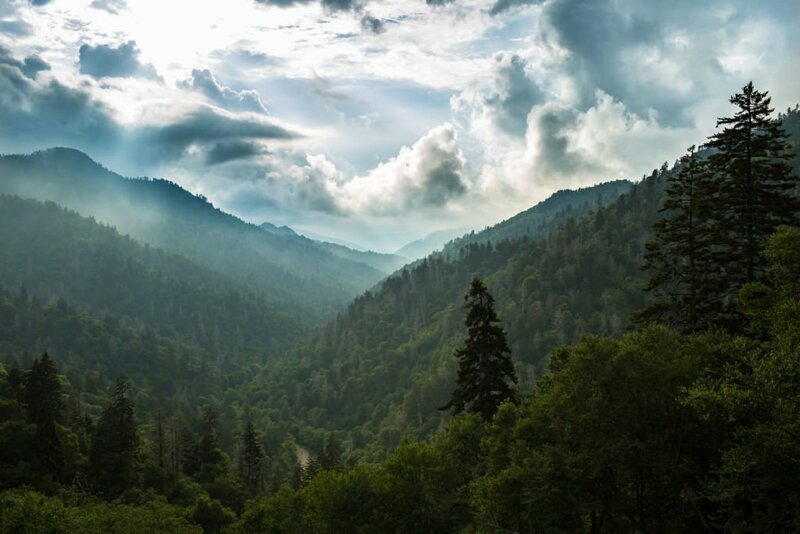 LeConte, the sixth highest mountain in the Appalachian chain rises above the French Broad River Valley about 30 miles southeast of Knoxville, Tennessee. Beginning at the Alum Cave trailhead, hikers have a 4.9 mile trek to reach the Mt. LeConte summit ridge and the junction for the Boulevard Trail. 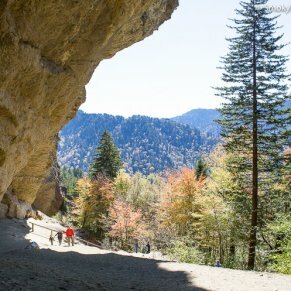 Along the route, you’ll enjoy picturesque views such as Arch Rock and the 80-foot tall icon known as Alum Cave Bluff, a cliff face that overhangs the trail for more than 100 feet. Five trails travel to Mt. 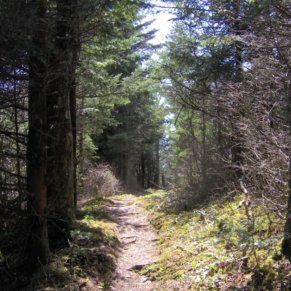 LeConte, but it’s the Boulevard Trail that’s the longest — a loop route with two trailheads, Alum Cave and Newfound Gap. However, the two trailheads (Alum Cave Trail and Boulevard Trail) are several miles apart. If you decide to hike this loop, you will need to arrange for a ride back to your vehicle. 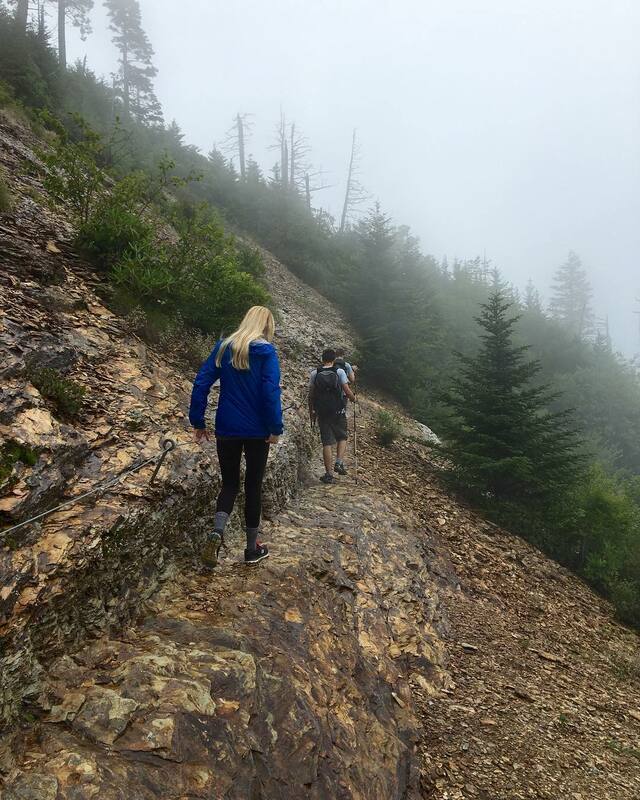 -Although you begin this hike at a high elevation and the net elevation gain from the Newfound Gap parking lot to the peak of Mount LeConte is only 1,080 feet, your total elevation gain is much greater. Come prepared for multiple ascents and descents along a ridge line with a total elevation gain of 3,000 feet. -No permits or fees are required for hiking the Boulevard Trail. 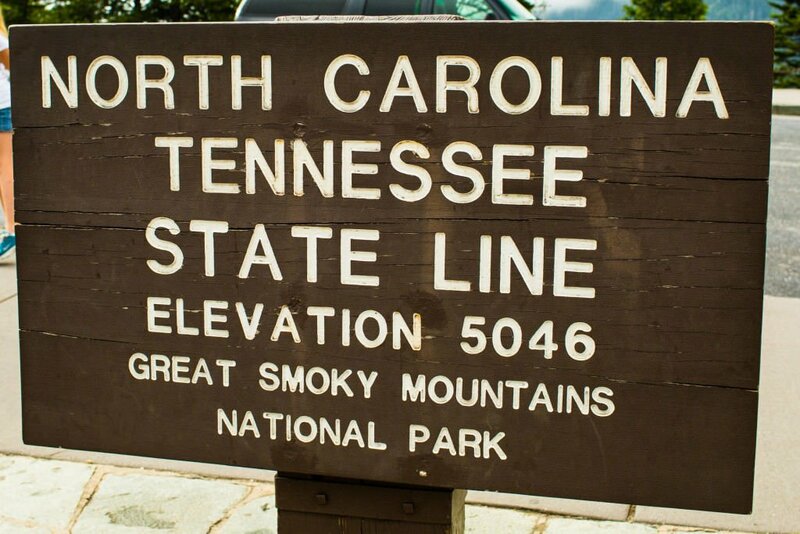 Entrance into the Great Smoky Mountains National Park is free as is parking at the trailheads. 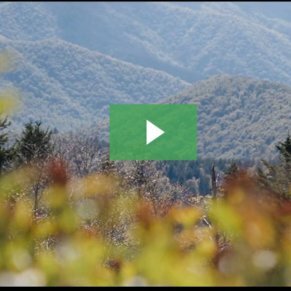 -If you are hoping to stay at LeConte Lodge, advance reservations are a must. The trailhead for the Boulevard Trail is located approximately 13.2 miles past the Sugarlands Visitor Center just off of Newfound Gap Road. 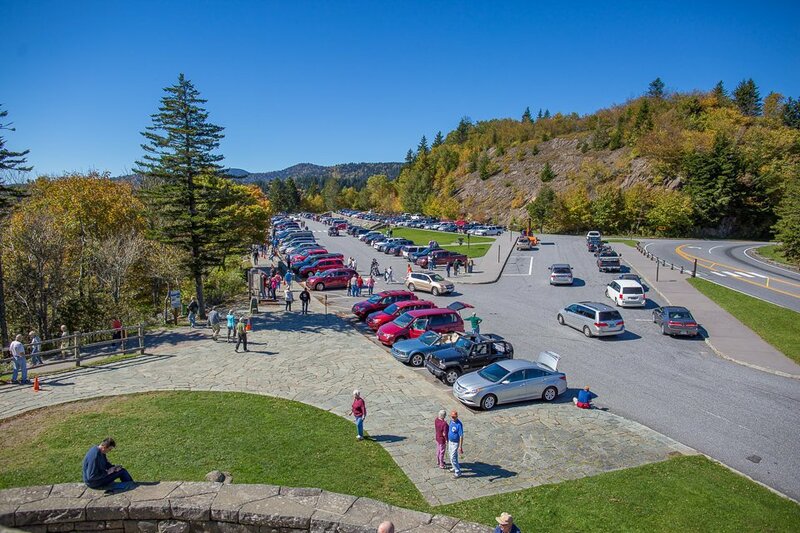 Although you may have to fight for a spot during peak seasons, there is plenty of parking available in The Newfound Gap parking lot.